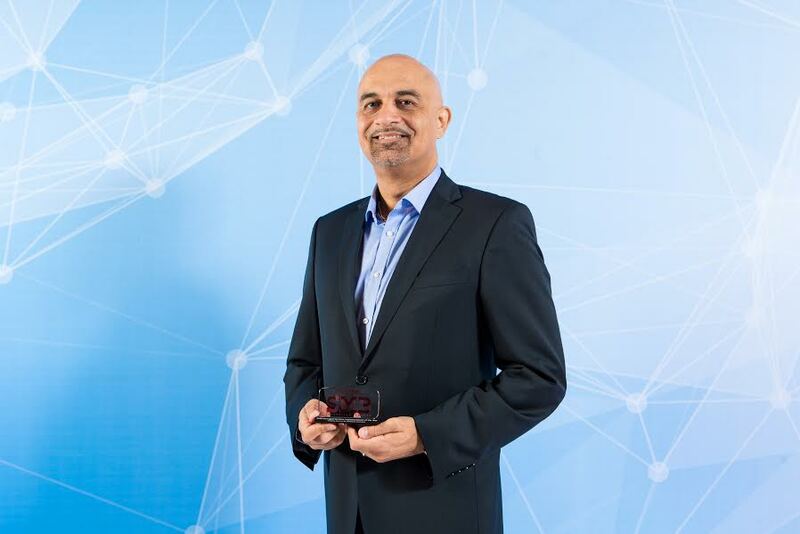 Dubai, UAE: eHosting DataFort (eHDF), the region’s leading Managed Hosting and Cloud Infrastructure services provider, was recently awarded the ‘SMB Managed Services implementation of the year’ award at Channel Middle East’s inaugural SMB Innovation Awards 2016. eHDF was recognised for its Managed Services project, implemented for a leading healthcare provider in the UAE. The award ceremony took place at the Conrad Hotel, Dubai, and honoured companies that have shown outstanding examples of IT implementation excellence and pioneering spirit in their chosen field of specialisation in the past year. eHDF has received accolades for its Managed Services, Cloud Computing and Data Centre offerings for the last 9 years in a row, and continues its efforts to focus on customer needs, service offerings and innovation. The key reasons that make eHDF stand out in the Managed Services marketplace is the company’s ability to provide strategic, financial and operational benefits to its customers and act as an extension to their in-house IT department. eHDF has a team of domain and technical experts who are highly knowledgeable, committed, experienced and completely focused on keeping customers’ critical applications and infrastructure working optimally without any downtime. eHDF is also the first company in the Middle East to achieve the Cloud Security Alliance’s Security, Trust & Assurance Registry (CSA STAR) certification which audits the security capability levels of a company. Achieving the Gold rating is the highest rating that can be awarded to any cloud services provider and the accolade has positive implications on eHDF’s Managed Services portfolio. eHDF is also certified to ISO 9001/ 20000/ 22301/ 27001 for the last seven years. Established in 2001, eHosting DataFort (eHDF) is amongst the 1st providers of Managed Hosting and Cloud Infrastructure Services in the Gulf region. It owns and operates multiple Tier 3 data centers, delivering managed services through reliable infrastructure, 24/7 support and guaranteed uptime, and is the only services provider in the ME to offer credit based Service Level Agreements. eHDF was the pioneer in the region to introduce hosted managed private cloud solutions and were the 1st in the UAE to launch public cloud services which can be bought from an online storefront. Very recently, eHDF obtained Cloud Security Alliance (CSA) STAR Certification, becoming the 1st company in the region to achieve this. It also achieved the acclaimed ISO 22301 certification for Business Continuity this year and was amongst the 1st companies to achieve ISO 9001 / 20000/ 27001.